The Segway company owner who died after plunging off a cliff on one of the two-wheeled transporters had just donated 1,000 Segways to be used by wounded American military troops. The Segway company owner who died after a fall involving one of the two-wheeled transporters had just donated 1,000 Segways to be used by wounded American military troops, an advocacy agency official said Thursday. Jimi Heselden was scheduled to be honored at a ceremony next week for the donation valued at $5 million. But Heselden, 62, the chairman of the British firm HESCO Bastion Ltd., plunged to his death Sept. 26 after riding an all-terrain Segway over a 30-foot cliff into the River Wharfe in England. "We were so looking forward to thanking Jimi in person and are pained that we will not be able to do so," said Jerry Kerr, president and co-founder of Disability Rights Advocates for Technology, or DRAFT. "Jimi's tragic death is a staggering loss." The organization sponsors the Segs4Vets program that provides Segways to help military veterans become mobile. Forty-eight veterans, including many receiving treatment at the U.S. Army's Walter Reed Medical Center, are scheduled to receive the first of the Segways on Oct. 6. at the Marine Corps War Memorial. The program has distributed more than 500 Segways in the past five years to veterans of Iraq and Afghanistan who have sustained injuries limiting their ability to walk. Kerr dismissed suggestions that Heselden's death raised new questions about the safety of Segways, and also warnings from a coincidental report released Monday that found rising numbers of Segway injuries reported at a Washington, D.C.,-area emergency room. 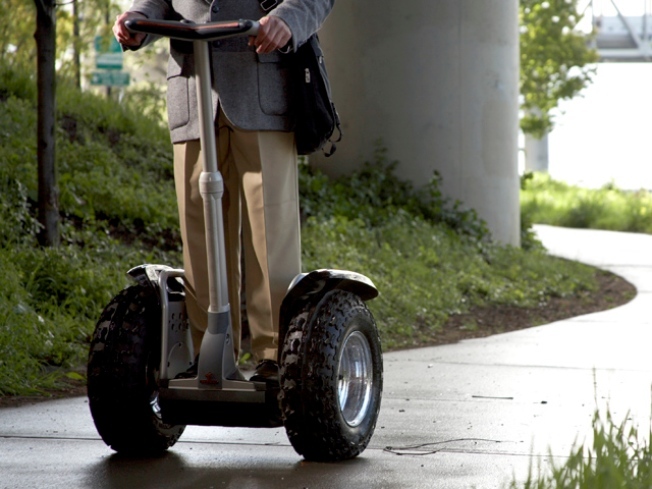 "The Segway is among the safest, if not the safest, mobility devices out there," said Kerr. Heselden, who was chairman and creator of the British firm HESCO Bastion Ltd., bought the Segway company less than a year ago from U.S. inventor Dean Kamen. Company officials said there are no further details available about Heselden's death.